The Traveling Bar is an on-going series where cocktail bloggers, bartenders and boozy professionals pick their favorite neighborhood watering holes. We’re on the westside of Los Angeles with The Minty, a gal-about-town who I trust completely with where to drink (just look at the stream of cocktails on her Instagram). Am I a little surprised she picked Venice to represent her favorite among all L.A. bars? Maybe a little… but check out that wall of booze! 1. What do you look for in a bar? While I mostly go to craft cocktail bars, I believe we need all types of bars for different moods. Whether they’re neighborhood bars, dives, themed or not, I like lively bars with knowledgeable and friendly bartenders. But just because someone has memorized all the classic cocktail recipes, it doesn’t mean they are hospitable so I look for bars where I can be comfortable. I also enjoy good design, good music and a fun crowd. 2. Here’s the scenario: your cocktail lovin’ friend is coming to your town for ONE night. You only have time for ONE bar. Which one is it? I would take them to Scopa Italian Roots in Venice. 3. What makes this place so special you’d bring them here? It’s pretty much my dream bar with a giant wall of booze, lovely food and welcoming service. Although it gets crazy packed, I never feel rushed to leave. Scopa was nominated for Best Drinks Selection at the Spirited Awards at Tales of the Cocktail last year. 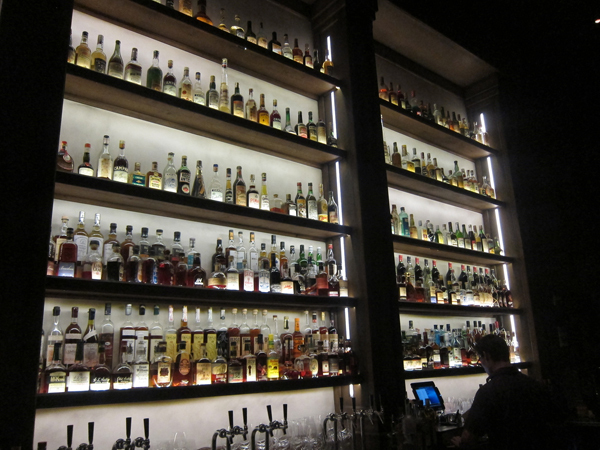 Here’s a video showing off their beautiful bar (and that giant wall of booze!). 4. What do you order for your friend? What do you order for yourself? When I go into a bar the first time, I tend to order all the original drinks until I find the one I like– usually some brown, bitter, stirred cocktail. At Scopa, this is the Bullocks Wilshire. But I love discovering new drinks and letting the bartender play so I tell them I want something with whiskey. For my friend, I will order a drink with their favorite base spirit. The Westside is one of Scopa’s best sellers, a pretty, refreshing drink with Angostura bitters and vodka. 5. Does the bar have food? If not, where would you go for a bite? Yes! Scopa is helmed by Chef Antonia Lofaso. She was on Top Chef (season 4) and her pastas are so great. I love hearing Antonia speak about her grandmother who passed along her Italian meatballs recipe and more. Scopa is also wonderful for oysters, sandwiches and salads. I’d love to try Scopa for brunch one day. 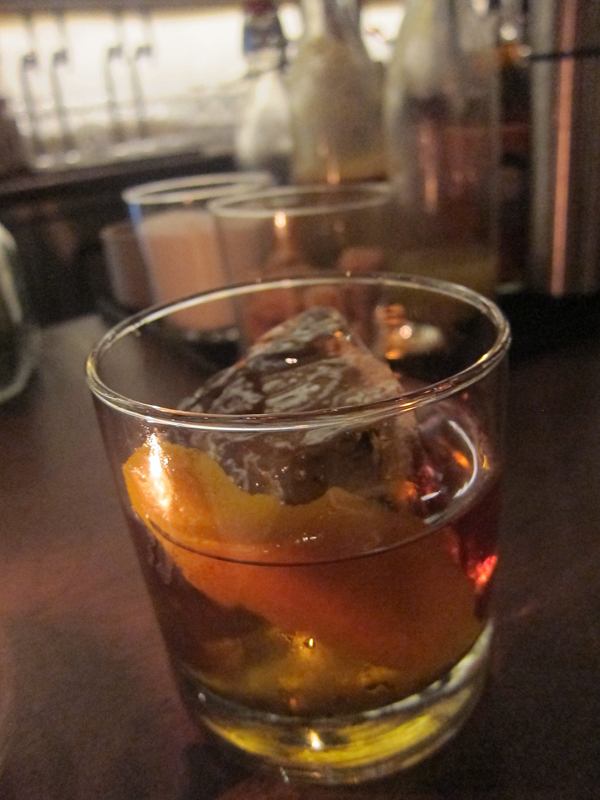 For even more photos of the food and drinks at Scopa, check out The Minty’s round up on her site! *Photos courtesy of The Minty. More Traveling Bar Posts found here! I’m not surprised she picked Scopa 🙂 It’s fabulous, and such a unique atmosphere. Venice really does do the best of everything though. Lived in Santa Monica for years, and spent more time in Venice than in SM 🙂 Thanks for this.